Thursday evening brought together an ensemble of candidates in the first major Republican debate, separated into two time slots with the most popular ten featured at the main event. And while majority of the questions focused on immigration (a key 2016 election issue) and jobs, many candidates touched on their foreign policy especially in relation to the Middle East and Iran. One of the more noticeable comments came from Carly Fiorina, a candidate low in the polls but gaining support post-debate. When asked if she would help Arab allies in the event of Iran acquiring a nuclear weapon, Fiorina responded with frustration towards the Obama administration’s lack of initiative. The administration’s refusal to provide Jordan with drones, or superior weapons for that matter, has more to do with its agreements with Israel in maintaining its regional military superiority. Promised by past Presidents (Bush being one of them) and administrations, Israel’s military might outweighs the needs of Gulf and regional allies to be properly equipped or supplied with weapons. Any weapons sales that challenges Israel’s regional hegemony without it receiving better and stronger equipment in return would invoke a fierce reprisal from pro-Israeli voices. The Washington Times released a report on a possible weapons deal with Saudi Arabia, with one official from the Obama administration interviewed saying, “We have to make sure any transfer of weapons to anyone in the region won’t undermine Israel’s ability to defend itself.” The Obama administration had expressed interest in supplying Saudi Arabia an array of arms, including GBU-28 bunker buster bombs, in the midst of its conflicts against the Houthis in Yemen and ISIS. The recent Iran nuclear deal and possible eventualities have also raised concern among Gulf states. 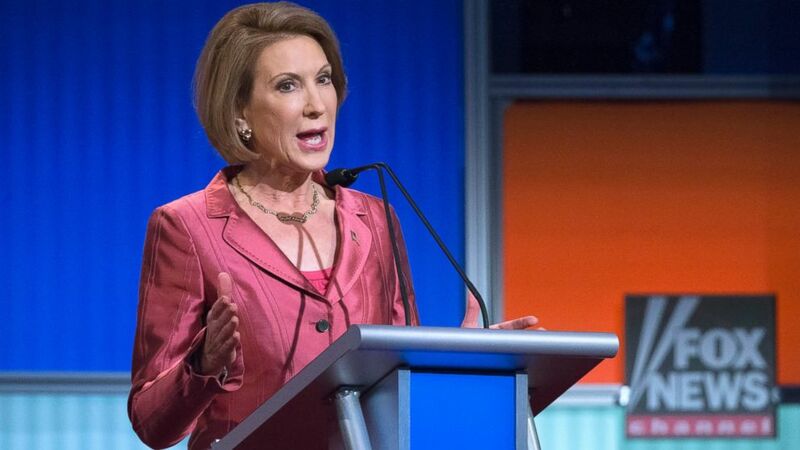 Fiorina cannot have her cake and eat it too. Another concern in regards to America supplying its autocratic allies with weapons is their record on human rights and restrictions in their respective nations. The Obama administration came under fire for resuming weapon sales and transfers to Bahrain, a country still dealing with protests against a regime violating rights through suppressing free speech and detaining human rights advocates indiscriminately. On the contrary, Egypt under Sisi has become progressively worse on human rights and has failed to make meaningful reforms in favor of a more democratic system. Government forces have initiated an extreme crackdown on Islamist groups, critics, human rights organizations, the LGBT community, and other sections of Egypt’s society that stands to challenge or goes against the regime’s personal agenda. Sisi, however, has attempted to convert his personal image into someone tough on terrorism and aligned with traditional, conservative Islamic values. The rhetoric spewing from GOP candidates is simplifying the complex issues and agitators seen in the Middle East as one unified villain. Iran is not ISIS, ISIS is not al-Qaeda, and al-Qaeda is not Hezbollah. While several militant groups across the region have received funding and support from states inserting their self interests through proxy wars, it is both pointless and incorrect to assume that every enemy shares the same exact agenda. Iran stands fiercely opposed to ISIS, as the militant group is not only a polar opposite in terms of ideology but also acting counter to Iran’s interests in Iraq and Syria. ISIS has attacked Shia communities in the region as well as other religious groups and minorities like the Yazidis, Kurds, and Christians. During the debate, Ted Cruz called the strategy of ending poverty and improving conditions on the ground “nonsense,” advocating for an instant revocation of citizenship and a death warrant for those who join ISIS. This view does not stray far from the opinions of other GOP candidates on the issue of ISIS and the environments it thrives in. Instead of treating root causes, Republican candidates stand firmly in favor of military options in a destructive and large-scale game of whack a mole. The environments that have produced extreme militant groups and allowed them to flourish have been generated by a multitude of issues as opposed to one single cause. Much of the instability has been created by larger states attempting to sway politics and power across the region in their favor, and to use it as a tool against their opponents. And those wielding power, desperate to maintain it, oppress its population through fear and demands of unyielding obedience. Other tactics use by the elite have been the marginalization and scapegoating of unfavorable communities, painting them as enemies of the state, spies, traitors, and forces of evil against the purity of a religious minded benevolent government. On the ground, conditions need to improve so that people do not feel helpless nor forced to join militant groups persuading thousands with lucrative lifestyles and opportunities to take our frustrations through devotion and war. These militants’ brand of Islam has been twisted, distorted, and used as a recruiting tool and a system of maintaining power. The Middle East needs to see not only political but economic stability, helping those living in poverty and unable to find well paying, safe, and reliable jobs. There needs to be an effort by governments trying to prevent violence and radicalization to uplift society and provide economic relief for those impoverished communities seeking and desperately needing it. The reversal of such a quagmire also requires a diplomatic approach that values peace and safety of societies and communities, constructed by those well versed in the issues and history of the Middle East, contrary to the views and opinions of hardliners and war hawks. The continuation of aggression and distrust does absolutely nothing on solving these issues. Rather, it feeds the harmful mindset that war is the only option and anything less is weakness. And though the Iranian deal has faced tremendous amounts criticism both inside and outside the United States, it currently stands as a better option than no deal. It sets a strong foundation for a nuclear free Iran, monitored by the IAEA and universally accepted as a plan that can bring productive results. Just because there is a deal in place does not mean the debate is over though. New issues can arise and the international community can always revisit this specific issue to create stronger barriers between Iran (or any other nation for that matter) and nuclear weapons. A successful Iranian nuclear deal, does more than ease tensions in the region and block any path that leads to nuclear weapons. It acts as a political victory for progressives in both America and Iran, that campaigns supporting diplomacy rather than brinkmanship has a resounding effect and is indeed a viable and realistic option. A victory for President Rouhani would be a major hit against conservatives who view the West with disdain, as an entity that is unable to be negotiated with. Achieving a solution to the issues in the Middle East through diplomacy and addressing the root causes of instability, inequality, and violence is a direct challenge to those profiting from proxy wars or attempting to gain power. What the GOP have suggested in terms of foreign policy is ignorant of the complexity and intersectionality of problems societies in the Middle East face. Either that or their rhetoric is based around the knowledge that their proposed actions are a deliberate attempt to add to the cycle of violence and to demean anyone who stands opposed to their viewpoints.